The Transfer Magnet is ideal for handling stainless media pins. 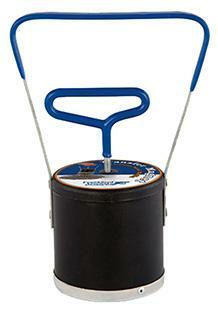 It effectively gathers and then releases 304 stainless media pins with a pull of the handle. It makes separating pins from brass fast and convenient.